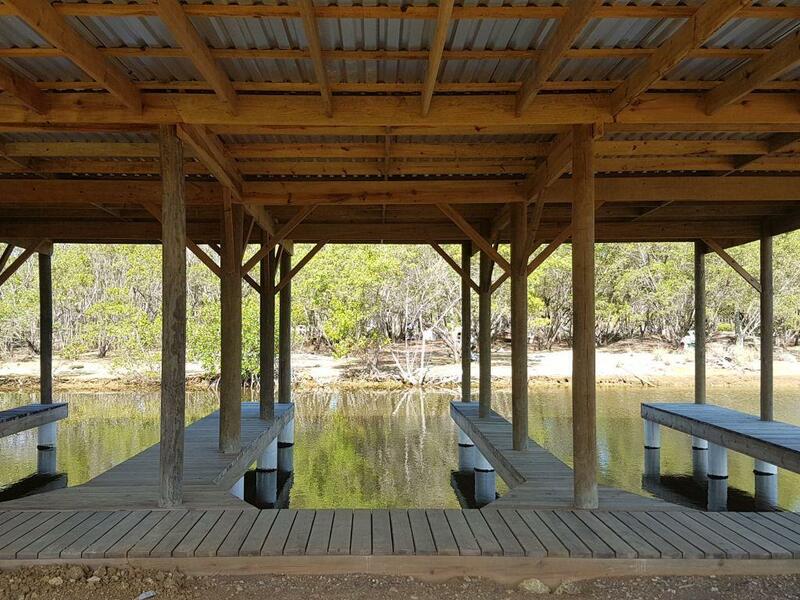 The South Shore Marina offers safe harbor for boats on the South Shore of Utila. 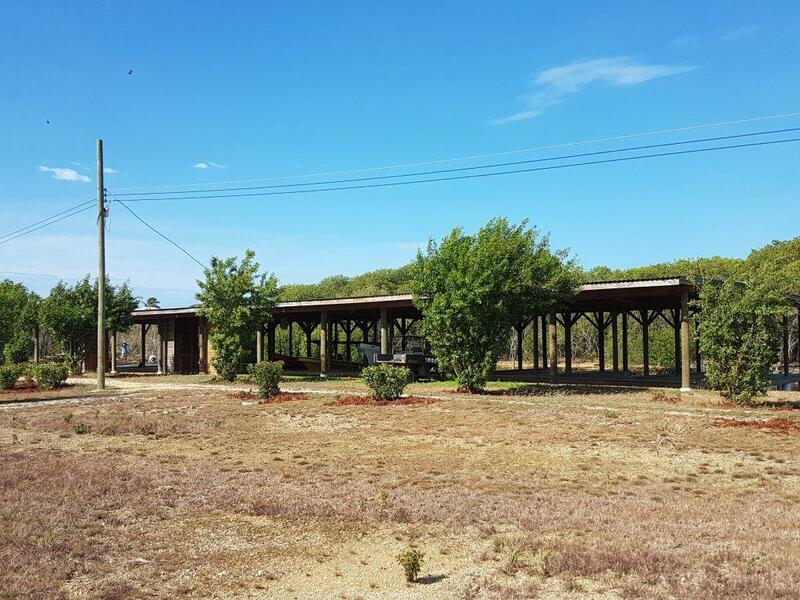 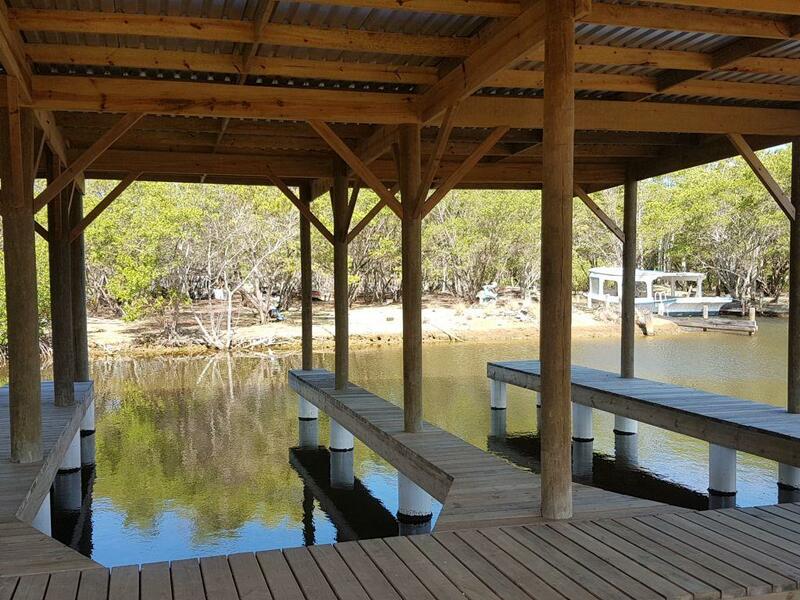 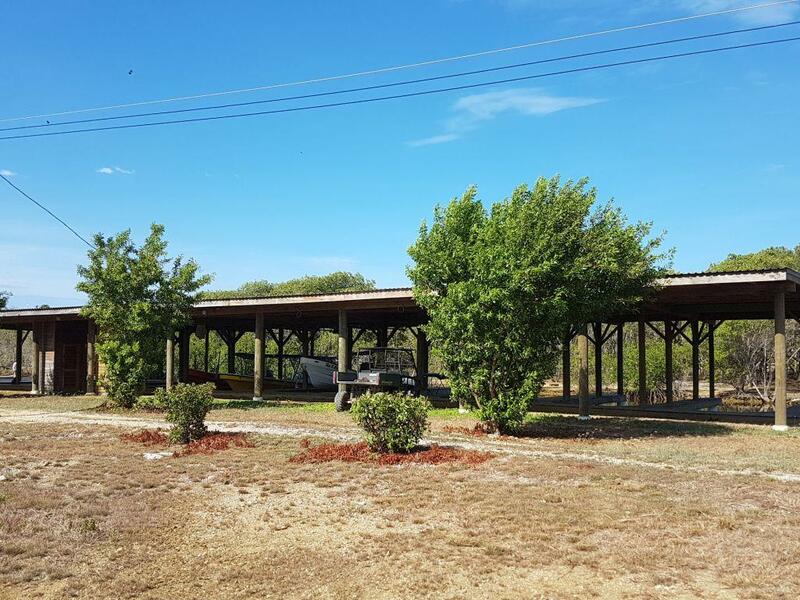 Located in a canal leading from the Oyster Bed Lagoon-a quick boat ride from the Blue Bayou End of Utila Town, this Marina can service residents all along the South Shore of Utila. 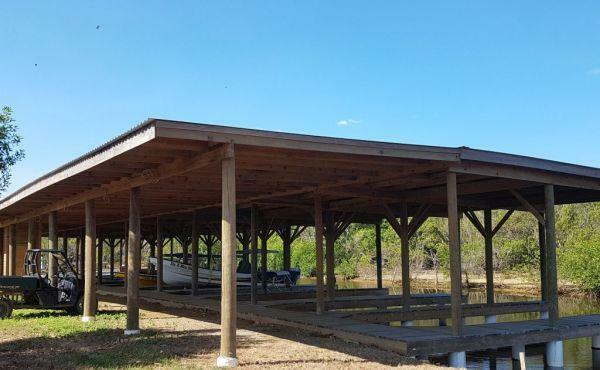 Each covered boat slips includes a covered storage area for water sports equipment, fishing gear, vehicles, tools, and bicycles, etc. 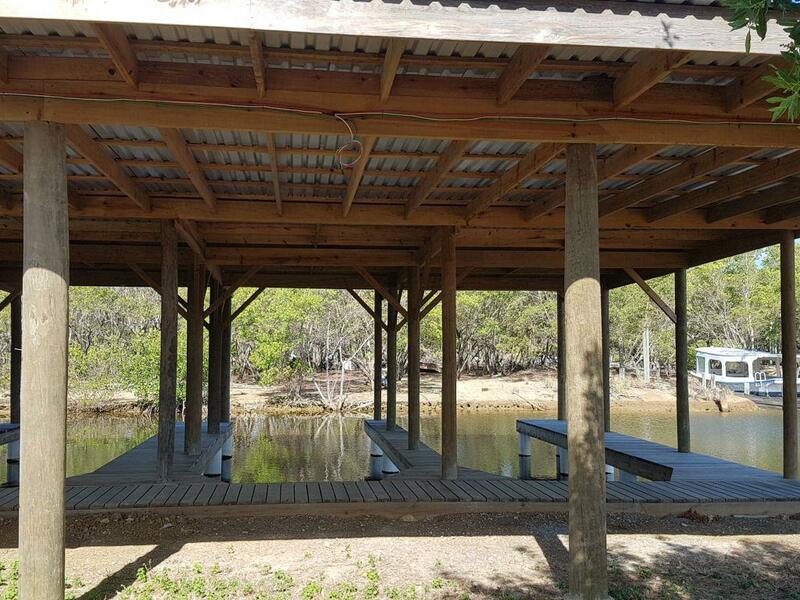 and can be enclosed by the owner. 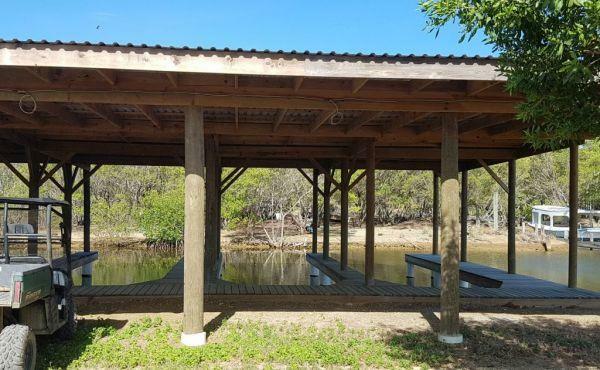 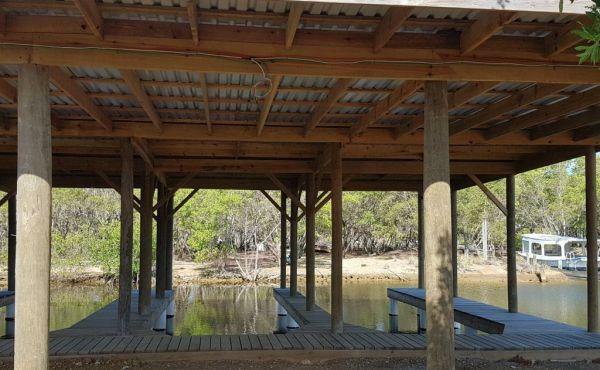 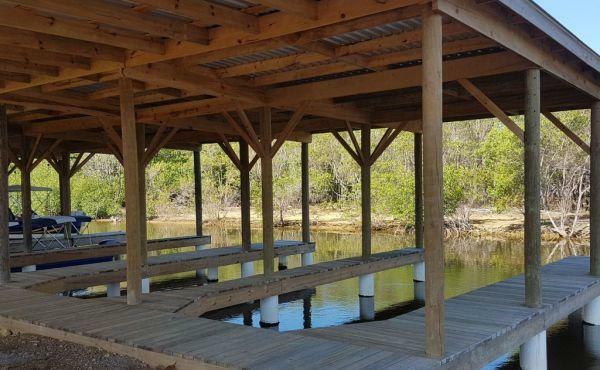 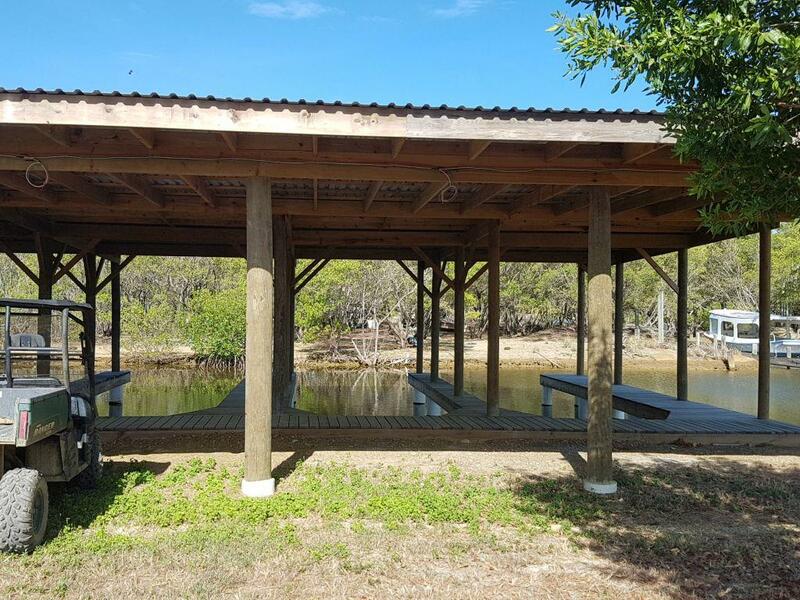 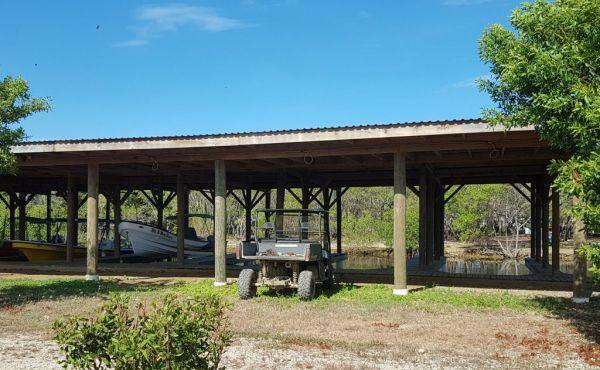 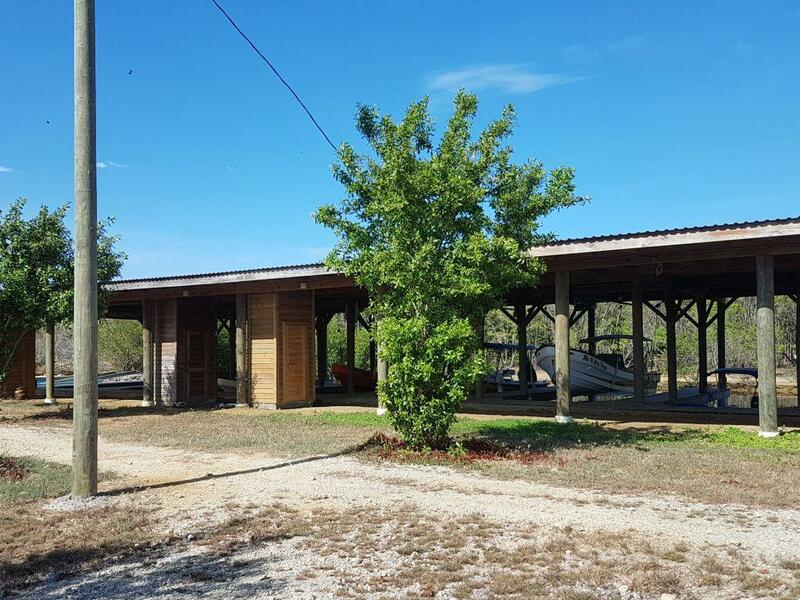 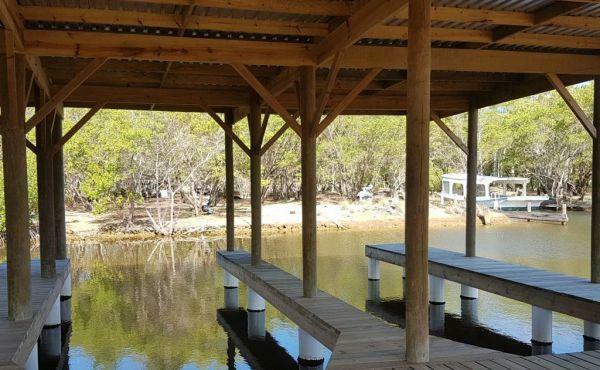 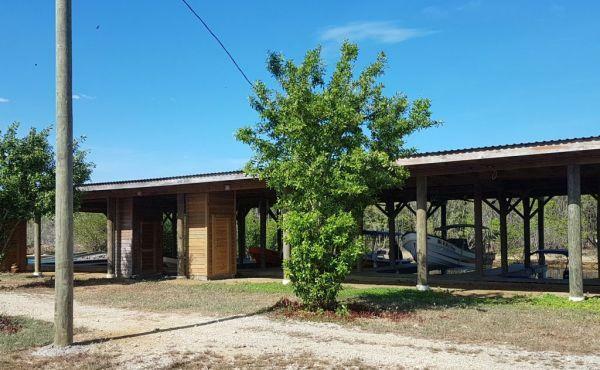 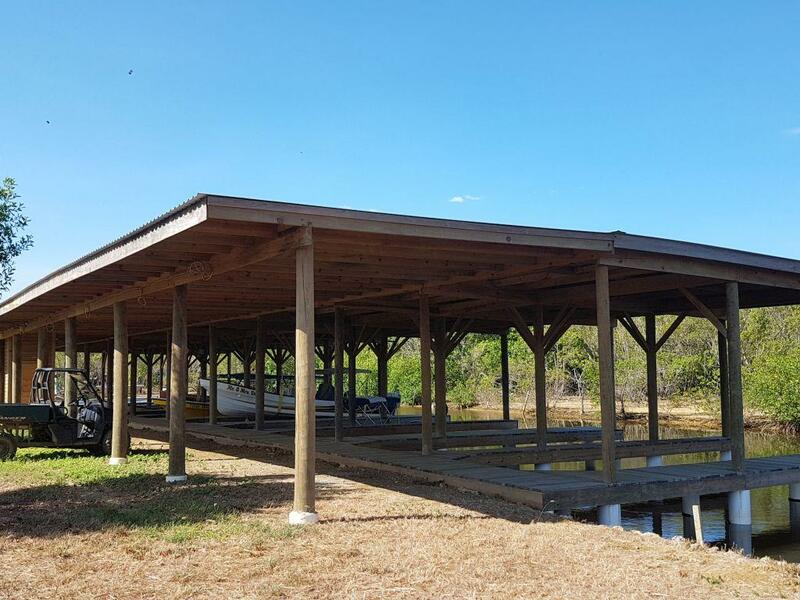 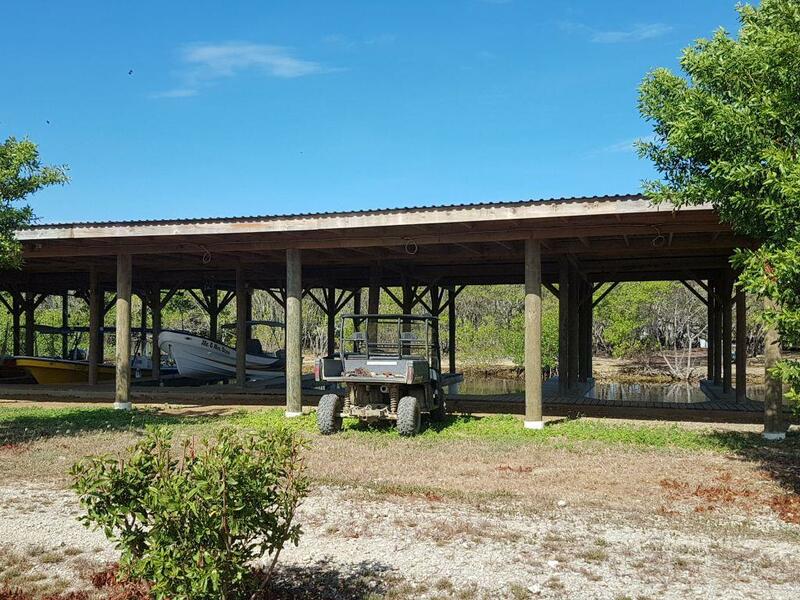 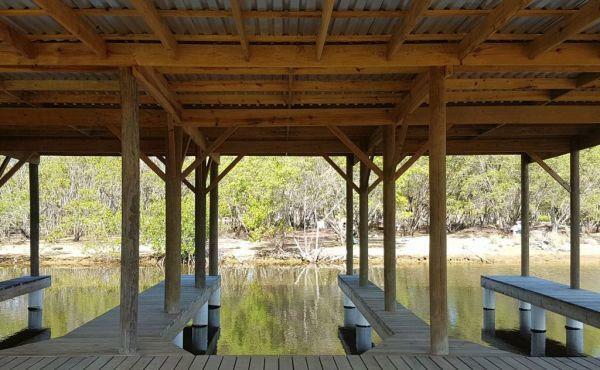 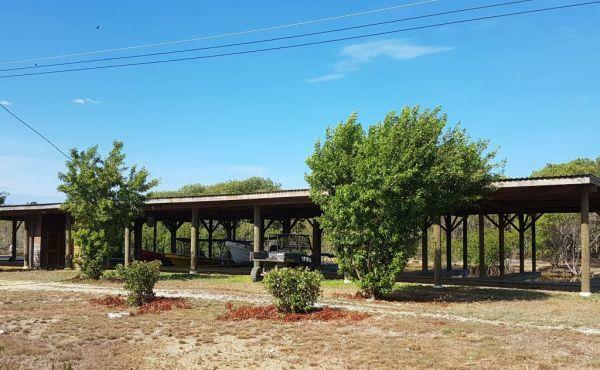 Two fully covered boat slips are constructed and ready for sale at the cost of $22,000 each. 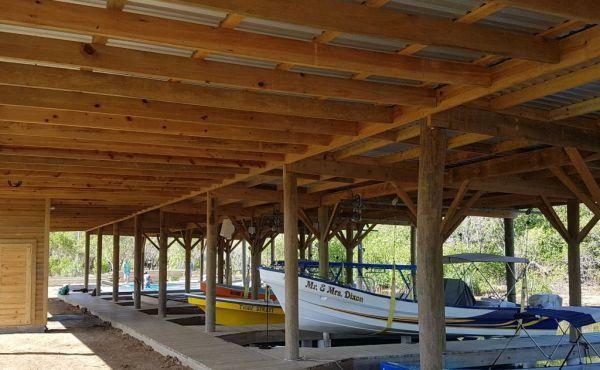 The dimensions of the boat slips are: 30 feet long and 13 feet wide with a 10 foot clearance for boat width. 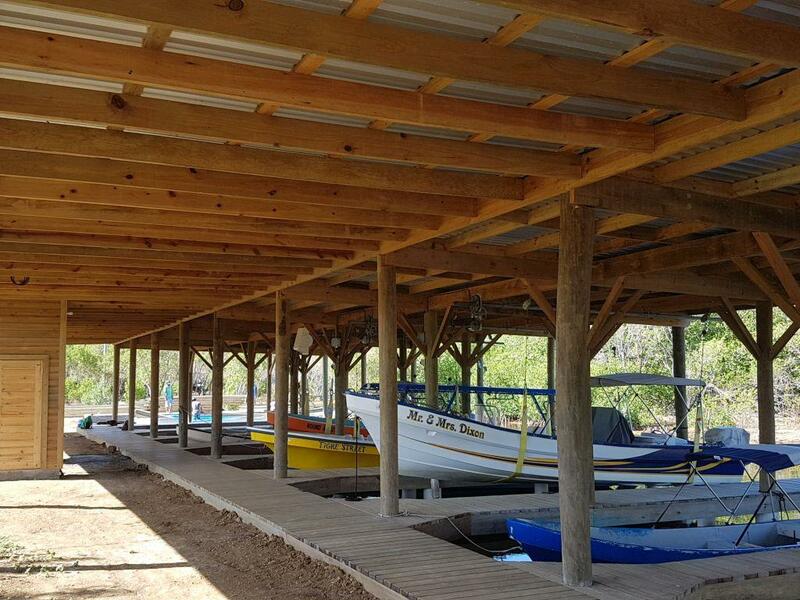 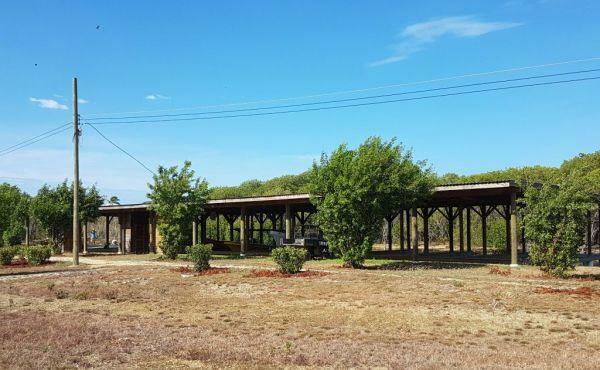 The covered parking area is adjacent to the boat slip and is 13 feet long by 11 feet deep. 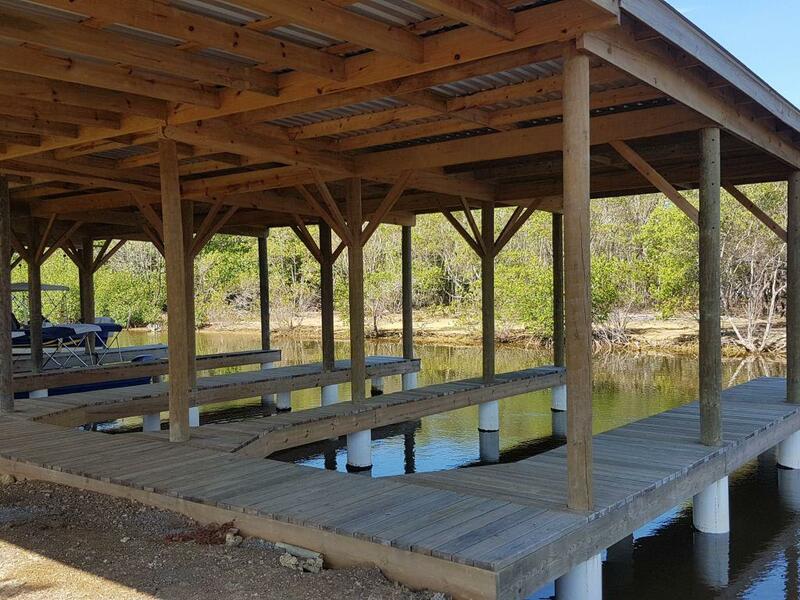 Full electric hook up is available for each slip and storage/parking area.